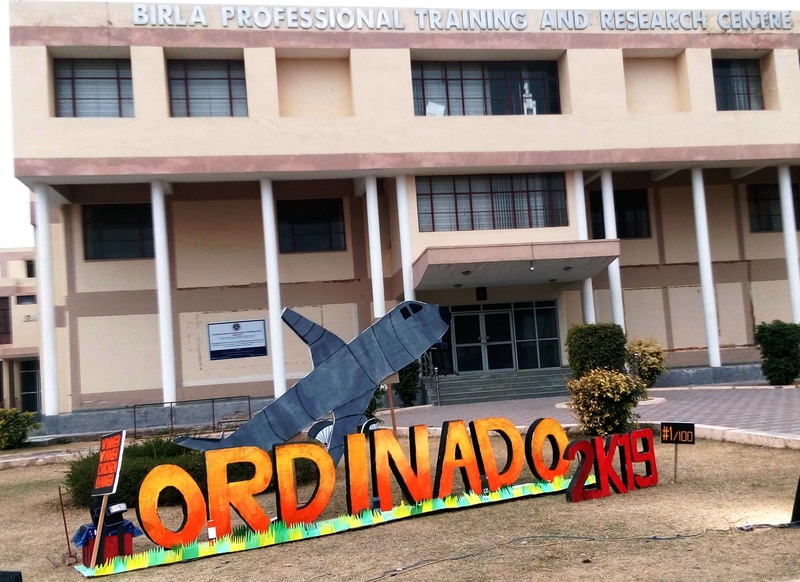 ORDINADO is an annual inter-college technical festival organized at B K Birla Institute of Engineering and Technology. It was started in 2016 with the aim of developing interest and encouraging innovation in technology among students. 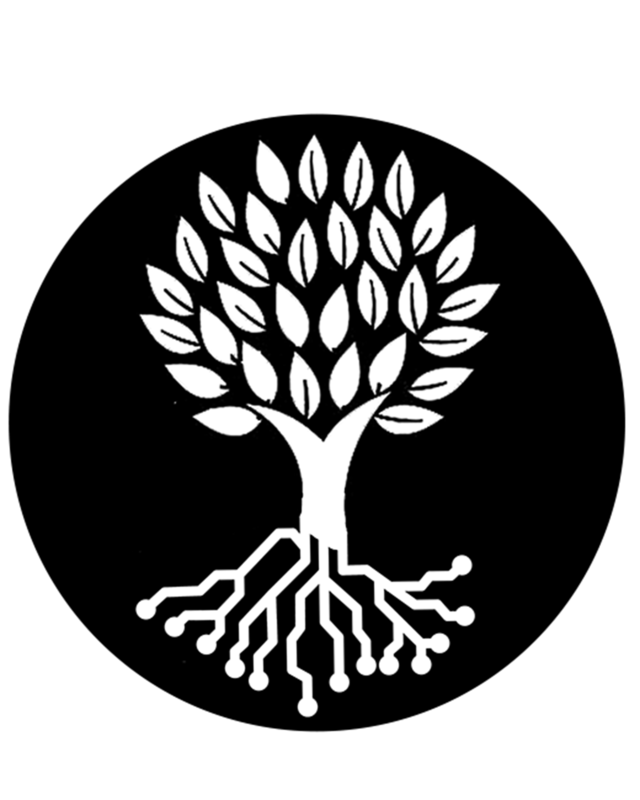 The word “ORDINADO” came from the Catalan word “ORDINADOR” which stand for computer hence, the word itself signifies computing in an extraordinary way. The festival is held for five days every February, attracting a large number of students from distinguishing colleges. The Inaugural Session started at 3:00 PM with a brief introduction about the Technical Fest – “ORDINADO”. The program was initiated with lamp lighting by our Chief Guest ‘Dr. Kota Solomon Raju’, Senior Principal Scientist at CSIR-CEERI, Pilani. The program proceeded with a Ganesh Vandana Dance performed by Shreya, followed by some glimpses of previous years Ordinado through its Aftermovie. Trailer for Ordinado 2019 was also played including the events during the whole fest. Dr. K. S. Raju, presented a talk on “Internet of Things: A Interdisciplinary and Multidisciplinary Technologies”. Jatin Premjani, Event Head of Ordinado 2019, presented his thoughts related to the fest. The program was then ended by appreciating the work done by Anshul Mandrelia, Yogesh Jakhar and Ankit Sharma towards the contribution for the fest. The Day 1 has also contributed with various INFORMAL EVENTS and An ALL NIGHT CODING Competition. All Night Coding competition was conducted by Coding Ninjas, Coding Partner of Ordinado 2019, on Codegen Platform. It started at 9:00 PM & lasted till 3:00 AM. The event contained 3 Round of coding. 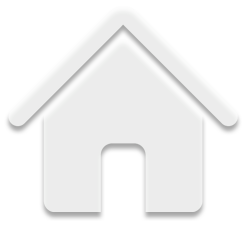 Final Round – The Ninja Round with 1 coding problem. There were 60 participants in this competition. The winner of this event will be announced on 1st Feb 2019 at 5:00 PM. The winners will be given the goodies provided by Coding Ninjas. 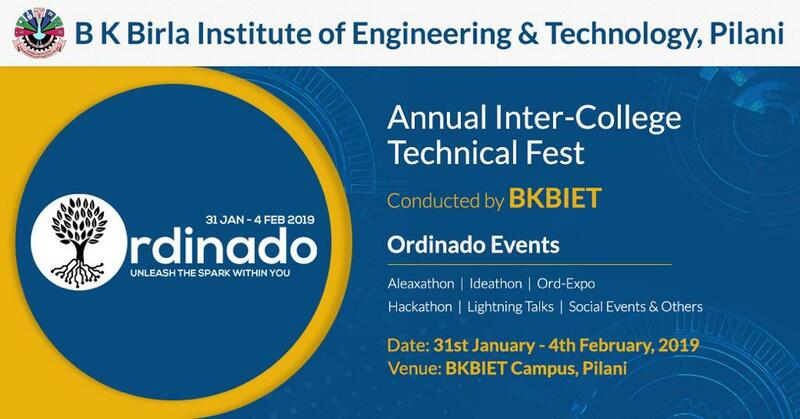 Fest ORDINADO-2019 Team has organized the workshop on “Ethical Hacking” on 26th – 27th Jan 2019. According to a Research nearly 75% of cyber attacks occur at the application-layer and thousands are vulnerable. 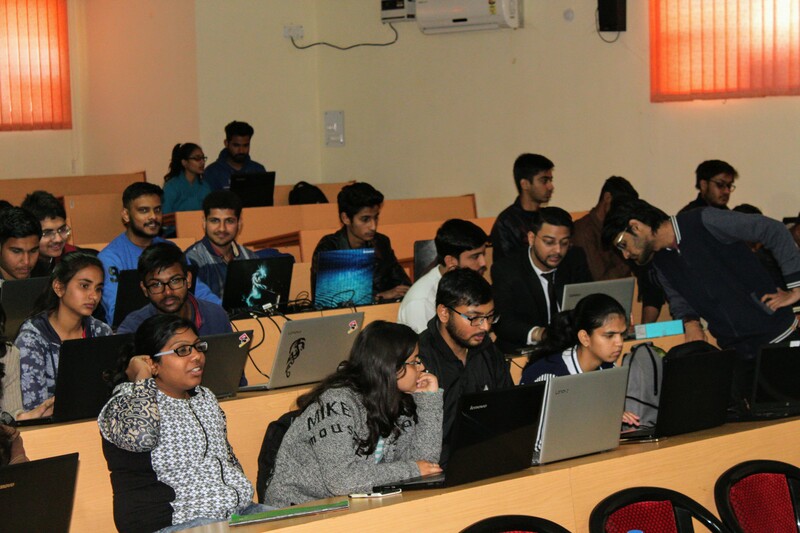 The main objective of this workshop was to spread awareness about the online threats, possible attacks and vulnerability amongst the students and faculties. Workshop was designed and planned for student to gear up for knowing industry-based case-scenarios in the field of Ethical Hacking. Participants have received Certificate and rich content related to Ethical Hacking. 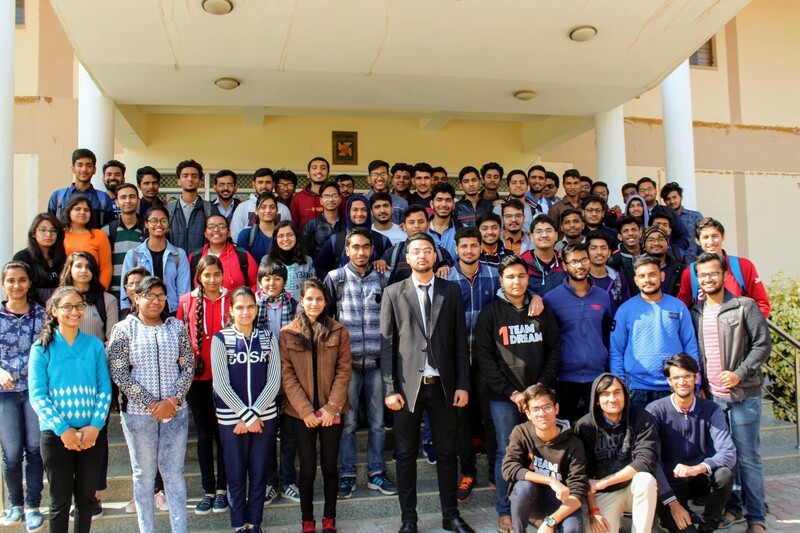 Mr. Nitesh Bhatia has also shared his in-depth experience of working as an Investigator and his role as an ethical hacker.